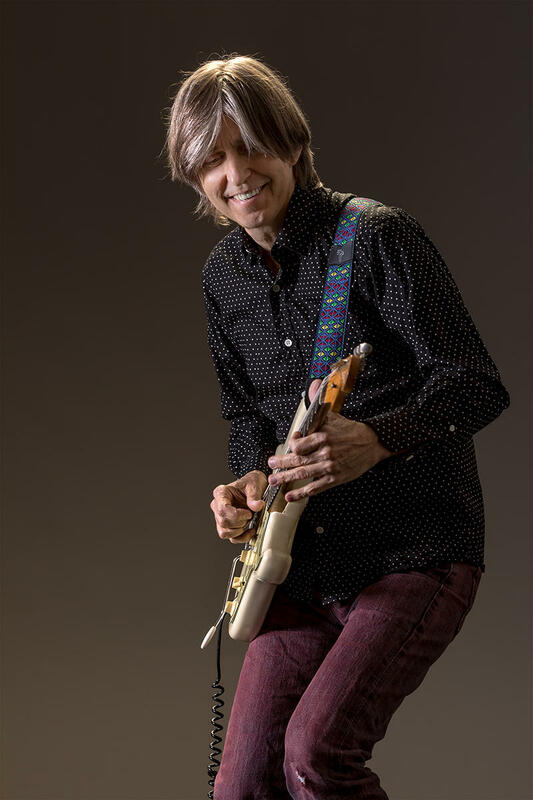 Released in 1990, Ah Via Musicom served as Texas guitarist Eric Johnson's breakthrough album, spawning four singles, three of which became inescapable on rock radio in subsequent years. The tune "Cliffs of Dover" earned Johnson a Grammy for Best Rock Instrumental Performance in 1992. Johnson toured incessantly behind the recording and landed a coveted spot opening for legendary Canadian band Rush during the touring cycle. Whether he planned it or not, Ah Via Musicom solidified his place in the pantheon of great rock guitar players. Johnson has been celebrating the album by performing it in its entirety during concerts, including his performance on Sunday, Jan. 20, at Wave. I want to go back just a little bit and talk about when you released Ah Via Musicom and where you were at in your career. You had been working out of the Austin music scene, you'd had Tones come out. Was there a sense when you went in to make Ah Via that it had to be big or was it just another record? Tones did OK, but I was kind of at a crossing point where I needed to figure out something that might solidify things a little more. The only thing you initially could do was [say], ‘I'll just make the best record I can' in whatever vision I had at the time. I worked real hard on trying to do that. I had no idea whether anything would happen, especially with being perceived as [only] having instrumental songs, which was a little bit of a fluke. But it worked out. You have so many years behind you as a professional musician. You continue to play guitar music at a time when we hear all this stuff about electronic music and DJs taking over. Yet, the guitar still seems to have its audience. What do you think it is about the instrument that allows it to endure? I think it's waned in popularity because it was overblown and overstated and tried to become too much of a deity/icon, which is kind of silly in a way. Something you set up like that, it's just a matter of time before it's going to crumble. Setting up that facade. So, I think that, in a lot of aspects, that's all kind of washed away. But, out of those ashes, have come some very interesting people that are doing very cool things with the guitar. They're just approaching it differently. Sometimes that means using it to write a song with just a little different sound and these little parts where it's perfunctorily used more as an orchestral instrument and not somebody soloing for three hours necessarily. I think the long stay is not much … different than something like the violin: It's a medium by which you can see somebody organically play, perform, and spontaneously actualize what they do. Electronic music can do that, too, obviously, with synthesizers and stuff. But as a general tendency, electronic music, which totally has its place in modern music, there's less emphasis and less necessity for that organic performance level. Whereas, on an instrument [such as guitar], you're making up stuff in the moment and you're dealing with something a little more elementary and a little more analog. You're producing the sounds. You're not actuating a sample. From that standpoint, just like a cello or violin or acoustic piano, the guitar has that ability, although it might go up and down in popularity, but it still has that natural analog ability. This is a question that a lot of people don't like because, at the end of the day, what you call music doesn't matter as much as how it moves you, but there's been this thing where some people want to slot you as a blues player or a rock player. It occurs to me that not having easy slots is sometimes to somebody's advantage because you can reach a broader appeal. I think for the artist being less slotted is a good thing because it gives you more freedom to breathe and jump around and learn and stay open. As in my case, being more versatile, I'm not really great at one style. I'm kind of like a dabbler in all of them. There's a lot to be said for picking one style or two and becoming more proficient and more masterful at it. There's a certain childlike retaining of just that spirited innocent energy if you appreciate all styles of music. You can say, ‘Look at that! Look at that!' It's like going to a nature museum of all the flowers from all over the planet. You appreciate them all instead of dedicating your life to the white rose or whatever. I don't know this part about your career. When you were coming up, did you do the cover band thing in clubs? I hear a lot of guys say, ‘That taught me to be a diverse player, to learn everything.'. The cover thing I did was to study the musicians I loved. I loved Wes Montgomery, and I loved Eric Clapton with Cream. B.B. King and Chet Atkins. I very shortly did a period where I played in a cover band where we did Top 40 music and stuff. I didn't enjoy that very much because I wanted to explore in a more open way and, to me, it kind of quarantined your heart. I didn't dig it at all. I just tried to figure out a way, however [I could] to play with whomever I needed to at least play the music I wanted and get by, make some kind of living doing that. We did covers, but it was kind of, ‘Let's check out this song by whoever' and make our own sets. But I think imitating other people is extremely important in developing your own style.